I am assuming you are saying this is what you had after your Daniel Fast. 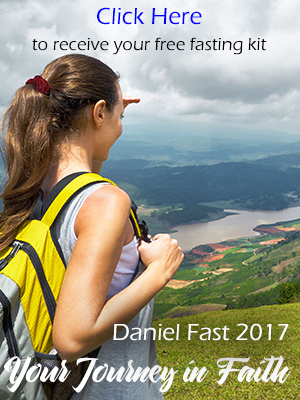 The Daniel Fast certainly can serve as a great jump-start for a new way of eating. The 21-day experience cleanses the body and if we focus our hearts on God and what He wants for us (and good health is certainly one of those desires) then the fasting experience truly can be life changing. Wanted to share about my experience on this Daniel fast. This is my second time around as I am believing God to walk in divine health for His Glory. Breakfast this morning was a scrambled egg with a little Almond milk, Cajun seasoning, mixed with fresh spinach and garlic sautéed in Olive oil. Wrapped in 1 yellow corn Tortilla. 1 cup decaf coffee w/1 tsp. Stevia. The egg, stevia and coffee is my fresh start back into my normal diet. Starting small and the rest of this day will consist of the learned food plan during this fast. We ended our Daniel Fast.. and it was a great lesson in discipline and for me to begin a new journey of making God a central part of my life. This comment may be TMI.. but I experienced constipation immediately, even slowly re-introducing regular foods (or maybe what I considered slow was not indeed slow enough). Has anyone else experienced this? I did not eat typical food that constipates, 2 cups of regular coffee, and a pancake for breakfast, for lunch a homemade deli sandwhich on sprouted wheat bread with veggies and 2 thin slices of deli ham, then for dinner, a piece of chicken and a slice of cake (wedding reception). This fast has made our family more conscience of what we put into our bodies and how little we knew about nutrition. Thank you! Just ending my first 21-day Daniel Fast. I am sorry to see it end, and I will definitely be doing it again! Thanks be to God for your “site” and “insight.” My Bible reading/study/prayer time has been greatly enriched, lost 12 pounds and feel great! I love the idea of reading the Psalms 5 per day by multiplying the date times 5 to help you remember where you are. Also reading a Proverb each day. Yes, you need to be careful during the first couple days of “ordinary eating.” To keep your body from rebelling loudly, reintroduce foods slowly. This is especially important when resuming coffee (all caffeine), meat, dairy products and sweets. Small portions… and easing back into consumption of these foods is advised. Be Blessed in your Journey! Thank you for this information. I am just ending a 21 Day Daniel Fast and rushed back into eating regular foods – I suffered fatique and stomach aches. So I have now stepped back and will go much slower. This may be a time for you to prayerfully consider extending your fast for a time (a 40-50 day fast?). Ask the Holy Spirit what He has for you, “Why this great emotion, where is it coming from”? He very well may be leading you to a deeper place in Him that this last 20 days has just been laying down the foundation for. He is Faithful, He will direct you! BE BLESSED on your journey dear one! I am on day 20 of my Daniel Fast and I have to admit I’m almost a little emotional about quitting. I LOVED it. My intimacy with God grown tremendously, and I feel fabulous! I’ve already been praying that I can continue to discipline myself to carry out the healthy habits I’ve established while on the fast. As someone had mentioned, the benefits of this fast far outweigh any sacrifice made. Praise God for his loving and tender beckoning. Thank you for your encouraging post! Be Blessed on your Journey!